In an ongoing effort to increase transparency by multinational enterprises (MNEs), India joined Canada, Iceland, Israel, New Zealand and the People’s Republic of China in becoming the 39th signatory to the OECD ‘s Multilateral Competent Authority agreement for the automatic exchange of Country-by-Country reports (CbC MCAA). The Country-by-Country Reporting Agreement was conceptualized in 2013, when the OECD and G20 countries adopted the Base Erosion and Profit Shifting Action Plan (BEPS). BEPS acknowledges that improving transparency for tax administrations by giving them adequate information to assess high-level transfer pricing is crucial for tackling the problems of tax base erosion and profit-shifting. In response, the September 2014 Report on Country-by-Country reporting provides a template for MNEs to file an annual report for each tax jurisdiction in which they do business. This report is called the Country-by-Country Report. The Country-by-Country report is aimed at MNEs such as Google, Apple, and Facebook, who are commonly believed to pay little corporate income tax due to complicated business structures that allow them to shift income from high tax jurisdictions to low tax jurisdictions. Earlier this year, Google agreed to pay $185 million in back taxes to the United Kingdom after a government investigation into the company’s tax arrangements. The CbC report requires that multinationals report country by country how much they make and what they pay in taxes. It will help ensure that tax administrations obtain a complete understanding of how MNEs structure their operations, and ensure that the confidentiality of such information is safeguarded. 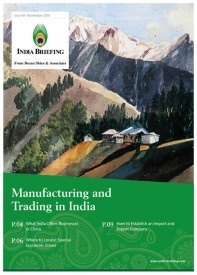 By signing the CbC MCAA, India agrees to bilaterally and automatically exchange Country-by-Country Reports with other countries that have also signed the MCAA. India will also receive CbC reports from other countries. India has signed other such information sharing agreements in an effort to check the flow of black money and increase tax compliance. Most notably, India signed the Foreign Account Tax Compliance Act (FATCA) with the United States in July 2015. 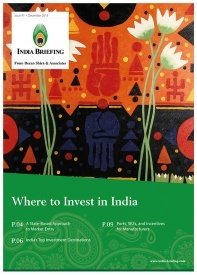 As India grows its technical and regulatory capacity on the international stage, information reporting agreements such as these will help India meet its goals to reduce tax avoidance. 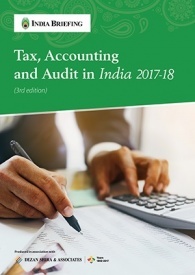 Tax, Accounting, and Audit in India 2014-2015 offers a comprehensive overview of the major taxes foreign investors are likely to encounter when establishing or operating a business in India. 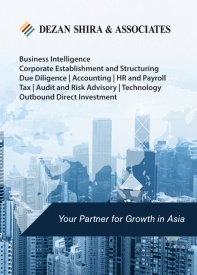 This concise, detailed, yet pragmatic guide is ideal for CFOs, compliance officers and heads of accounting who need to be able to navigate the complex tax and accounting landscape in India in order to effectively manage and strategically plan their India-based operations. 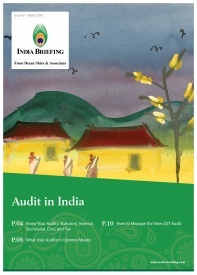 In this issue of India Briefing Magazine, we provide readers with an overview of India’s annual audit process and offer important tips for the smooth navigation of the country’s audit regulations and accounting standards. We begin by first explaining the two most common types of audit in India, statutory and internal audits, and then outline the standard steps and procedures an Indian auditor will follow in each.